The peanut butter cups you know and love are dressing up as ghosts this Halloween, with the help of some delicious white chocolate! 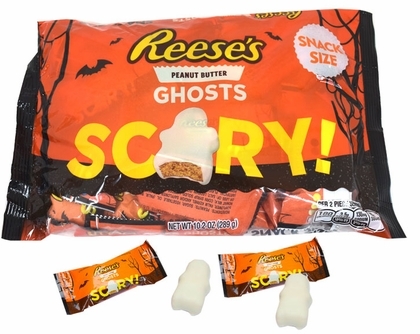 With peanut butter wrapped in white chocolate-flavored crème, these Halloween Reese’s ghosts are great for trick-or-treaters and Halloween desserts. Surprise the trick-or-treaters at your door with white chocolate Reese’s ghosts, a fun and spooky variation of an old favorite.